The Rottenstein Law Group, which represents clients with claims stemming from the severe side effects of the drug Fosamax, has learned with some dissatisfaction of a significant setback to four individual lawsuits against Merck & Co., Inc. In September 2005, a putative class of plaintiffs filed a class action against Merck, manufacturer of Fosamax, in federal court in Tennessee. When all federal Fosamax lawsuits were consolidated for purposes of pretrial procedures, the Judicial Panel on Multidistrict Litigation transferred the consolidated cases to the United States District Court for the Southern District of New York (MDL 1789). The federal court in New York (in case 0S207) denied class certification and dismissed the putative class action in January 2008. Before this dismissal, however, four intended class members, each a resident of Virginia, filed an individual action (based in state-law claims) against Merck in the Southern District of New York (asserting federal jurisdiction based on diversity of citizenship). Merck moved for dismissal of the individual actions, arguing that they were time-barred by the applicable law, being that each action was commenced more than two years after the latest possible date that each respective plaintiff had sustained his or her alleged injuries. The District Court granted Merck’s motion, dismissing the four actions. The plaintiffs appealed the dismissals to the United States Circuit Court for the Second Circuit, arguing (as they had done unsuccessfully to the District Court) that the time to start a lawsuit was tolled while the putative class action was being considered for approval. The Second Circuit determined that Virginia law governed the circumstance and accordingly asked Virginia’s highest court to advise it. The Virginia Supreme Court has now ruled, in an opinion issued on March 2 in Casey v. Merck, Record No. 111438, that “Virginia recognizes neither equitable nor statutory tolling due to the pendency of a putative class action in another jurisdiction.” In other words, the four individual plaintiffs are likely out of luck. The Rottenstein Law Group urges anyone whose friend or relative has been prescribed Fosamax or another osteoporosis drug to reach out to that person and recommend that he or she consult a physician immediately and then speak to a qualified personal injury lawyer. 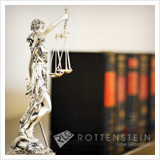 The Rottenstein Law Group maintains a Fosamax Lawsuit Information Center at http://www.fosamaxfemurfracturelawsuit.com. The site has features that allow for easy sharing, including links for automatic posting on Facebook and Twitter, specifically to enable visitors to spread the word about the dangers of Fosamax.